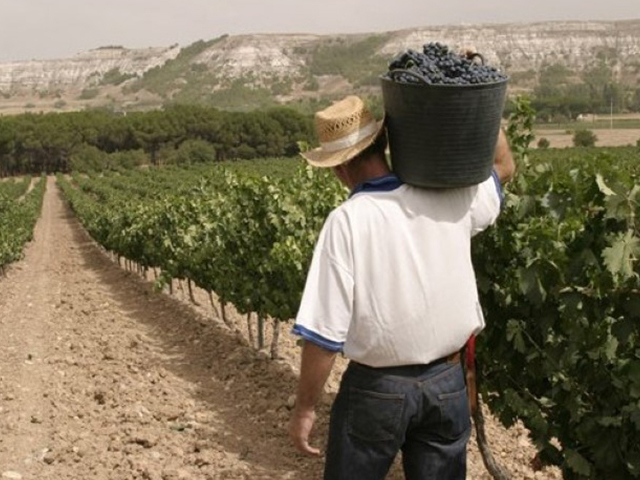 The winery is located in a small village in Valladolid called Fompedraza. The Benito Hernando brothers – Gaspar, Fernando and Javier -- have followed in their father's footsteps to produce quality wine and revitalize the winemaking traditions of the region. The family cultivates the jewel of of Ribera del Duero, the Tempranillo or Tinto Fino grape, at altitudes reaching 910 meters. The 77 hectares of vines are tended with care and the award-winning Briego wines reflect the quality and devotion to the craft. Fernando was born in 1961. He studied oenologist in Burgos. Since 1992 he produces the wines of Bodegas Briego which he owns with his two brothers . The passion for wine comes to him since childhood because his father produce wines from the 60s. Our award-winning Briego was named with a purpose; Briego is a synonym for fighting. We fought to recover the ancient vineyards and plants to increase wine quality. We carried out new plantings in 1988 and worked hard to ensure that the Tempranillo had the best terrain and growing conditions. Our production is dependent on yield, with about 400,000 bottles produced per year. Limited but luscious, we do not sacrifice quality for quantity.